Disney's cutest characters are cuter than ever with our "Tsum Tsum" Mini Plush Collection. Already a hit in Japan, now you can collect Mickey, Minnie, Donald, Goofy, Pluto, and all their soft stackable friends in mini size! Detailed plush with embroidered details. Textured fabric clothing with embroidered details and glitter accents. Launch date: 2012. 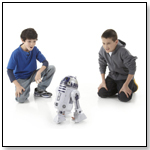 — As of 8.24.10, this product had 4 out of 5 stars from 2 reviews on Target.com and was listed in the top 30 best-selling toys and games. PROS: Interactive. These multicolored shaped rubber bands can be worn, collected or traded. This set features Daisy, Minnie, Goofy, Donald, Pluto and Mickey. These multicolored shaped rubber bands can be worn, collected or traded. 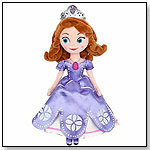 This set features Cinderella, Snow White and other Disney Princess favorites. These multicolored shaped rubber bands can be worn, collected or traded. This set features Jessie, Bullseye, a spaceship, Buzz and Woody. From the magical world of Pixie Hollow comes the charming 9" Tinker Bell Doll. She can be posed and has an exquisitely painted face, a matte finish for porcelain-like skin and delicate, transparent, glitter-encrusted wings. This 9" glittering carrying case opens with the press of a button and Rosetta appears. Rosetta stands 6," has red hair and wears a red and pink floral outfit. Disney's Vinylmation Urban 3 Series presents 3'' vinyl collectible figures that are eclectic and expressive miniature pieces of art. Each blind-boxed package contains one of 11 different Urban Series figures. Disney's Vinylmation Park 4 Series presents 3'' vinyl collectible figures that are inspired by Disney theme parks. Each blind-boxed package contains one of 11 different Park Series figures. The tough-looking rock monster shows his soft side with this "Toy Story 3" 7" plush toy. When Chunk's head is swiiveled, his face changes expression. There will be no toy left behind with this 13-piece figurine set. 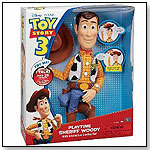 Classic characters like Buzz Lightyear and Woody are included along with characters introduced in "Toy Story 3," like Lotso, Twitch, Big Baby and Chunk. Each figure stands about 3.25." This soft and cuddly "Toy Story 3" Lots-o'-Huggin' Bear plush toy is 15" tall and smells like strawberries, just like in the movie. This 12" plush is designed to be both cute and edgy. He is ultra-soft and comes in a stylized flattened shape. This 12" plush is designed to be both cute and edgy. She is ultra-soft and comes in a stylized flattened shape. This MP3 player, available in several styles, lights up to beat of the music. Kids can download their favorite songs and auto-synch them with Mix Central software and online Mix Central download store, where they can also buy TV shows and music videos. The player has a 2GB memory to hold 1,000 songs, supports by MP3 and SD cards, and includes a rechargeable battery, software, a lanyard, ear buds, a USB cable and a guide. It comes with a one-year warranty. Launch date: Summer 2009. Made in collaboration with ASUS, this Disney netbook computer for kids is designed to be Web-safe and easy to use. It has a sturdy design, various options for parental control, an 8.9” LCD screen, Wi-Fi capabilities, Windows XP Home, and child-friendly software that features Disney. It is available in Princess Pink and Magic Blue. Launch date: Summer 2009. 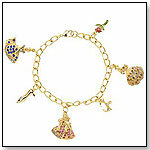 This is a classic, 24-karat gold-plated charm bracelet. The 7 ¾” bracelet comes with rhinestone-studded charms of characters Belle, Cinderella and Aurora with complimenting icons from their original stories: a slipper, a crown and a rose. ― “We do very well with Disney princess accessories,” said John St. Onge, owner of HodgePodge Toy Co. in Berkeley Springs, W.V., when asked about his top-selling jewelry and accessory items in an October 2009 survey of 39 retailers. 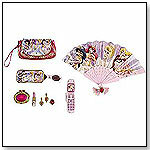 The set includes a fan, a jeweled clutch bag, a compact with mirror and note paper, sunglasses, a sunglass case, a lipstick pen, earrings and a play cell phone that produces light and sound effects. The set features five Disney princesses. — Isaac Gurock, head of operations at Magic Beans in Brookline, Mass., told TDmonthly in April 2008 that Disney Princesses' is his best-selling licensed line. His store sells 12 of the products each month. — “The Disney Princesses line — we sell at least one a day,” Scott Sloan, manager of Toys, Inc. in North Myrtle Beach, S.C., told TDmonthly in April 2008, when asked to name his best-selling licensed toy. — In April 2008, four of 50 retailers who spoke with TDmonthly named the Disney Princesses' line as their best-selling licensed line. The authentic, fully poseable Gonzo “photo” puppet features wire armatures instead of hand openings. He also comes with mouth expression capability and full articulation in his neck, shoulders, elbows, wrists, hips, knees, ankles and fingers. A custom display stand and numbered plaque are included. Production of this edition is limited to 2,500 pieces. Launch date: Spring 2008. This playset features seahorse and carriage,3 poseable princess figures, a selection of costumes, shoes and other beauty accessories, Carriage measures 4" H x 3.5" W x 8" L. Princess figures are 4" H.
— Disney Princess toys were ranked high on the list of little girl's wishes for the holidays 2007, according to Reuters. 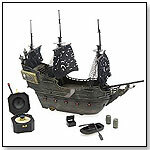 Based on the movie “Pirates of the Caribbean,” this remote-controlled pirate ship lights up and emits cannon sounds. The ship also houses a secret boat compartment and a compass remote control. One 9-volt and four AA batteries are included. The ship is constructed of plastic, metal and polyester. Launch date: July 2007. Players must use their cunning and savvy ways to defeat villians in this exciting PC sword game. Players can choose to fight as either as Captain Jack, Will or Elizabeth, each character unleashing a different variety of attacks. Launch date: May 22, 2007. 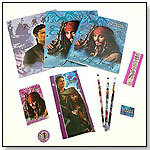 This stationery set includes what every pirate needs to write home or to a friend. Included are two 9-1/4” x 12” portfolios, an 8” x 10-1/2” theme book, a memo pad, a zippered pencil pouch, three No. 2 pencils, a sharpener, a ruler and an eraser. Launch date: May 2007.